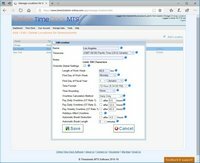 Do you have two stores and want a separate time clock for each group of employees? 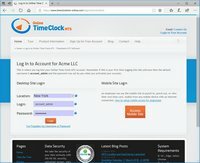 Perhaps you've got an office in LA and one in New York and want a time clock for both that handles the time difference for you? Or perhaps you've got one group of employees who get paid weekly overtime and another group that does not? 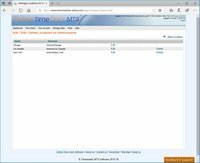 In any of those cases Online Time Clock MTS has you covered with time clock locations. 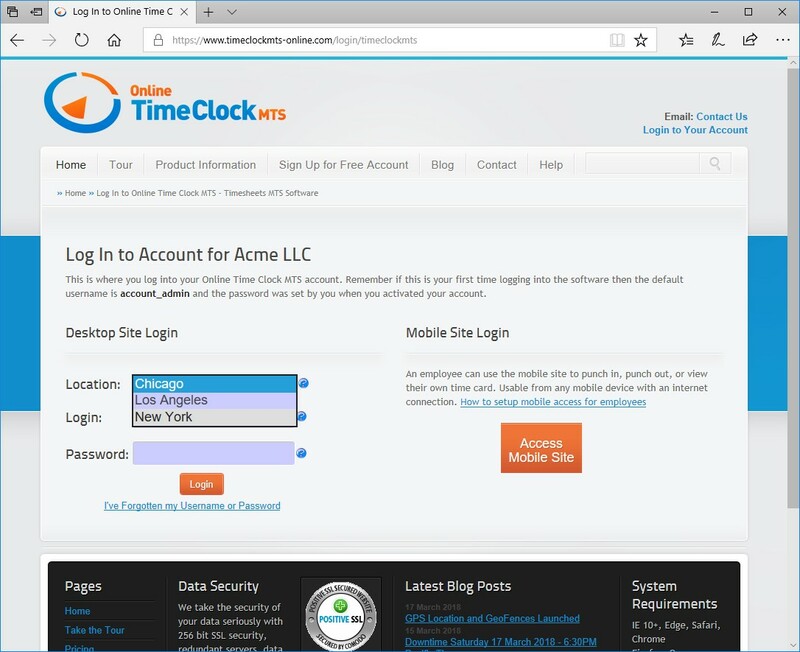 Locations allow you to group employees into into their own timezone, or their own set of payroll rules, or perhaps just to group them for administrative purposes. Below you can see some of the screens used to handle and manage time clock locations. 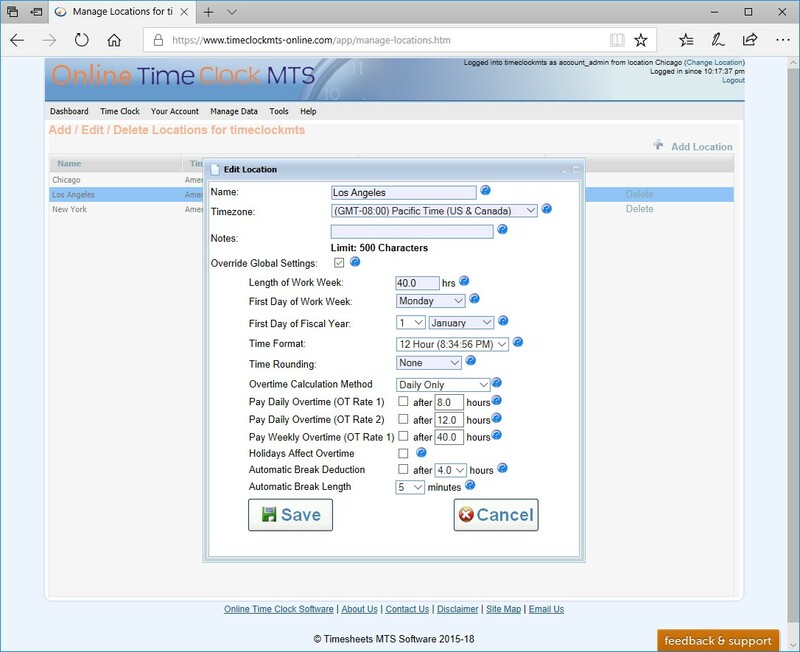 Choosing a location when logging in to Online Time Clock MTS. 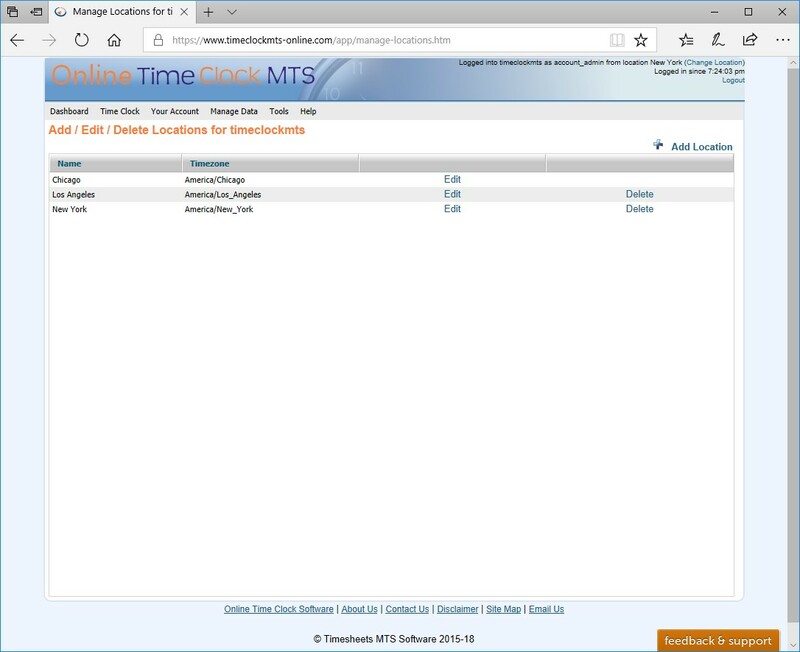 This screen is used to manage the locations that you want to use Online Time Clock MTS from. Note that you can have a different timezone for each location. This screen is used to add new locations or edit existing ones.